IRN-BRU Sugar Free has no calories and all of the sugar taken out. 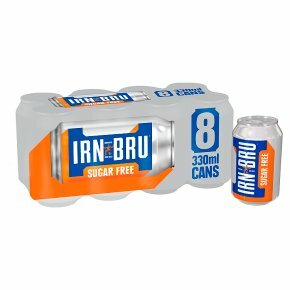 Launched in 1975 and made to the unique IRN-BRU secret recipe. A great IRN-BRU taste with no sugar. BRU'd In Scotland Since 1901 To A Secret Recipe Of 32 Flavours With A Spirit That's As Bold As Its Taste. You Can't Describe It, Because There's Nothing Like It. Sunset Yellow & Ponceau 4R: May have an adverse effect on activity and attention in children.